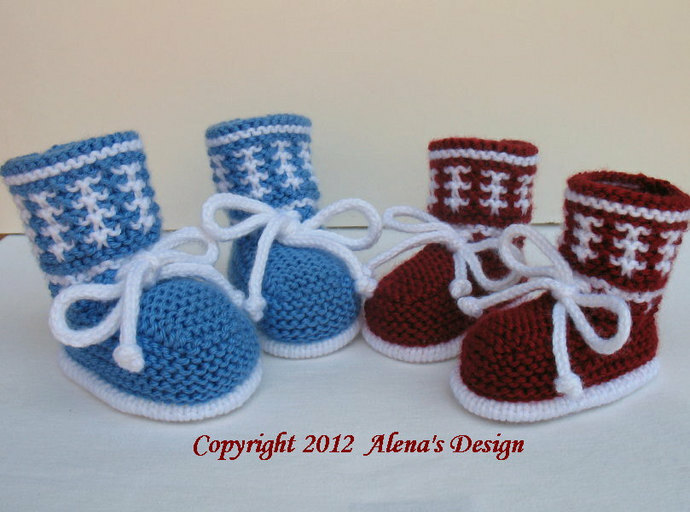 Knitting Pattern - Red & White and Blue & White High-Top Baby Booties. This information is for PATTERN ONLY. NOT THE FINISHED PRODUCT! (For finished products, please see shopping information). A baby's little feet are so beautiful. That is why we love to knit little baby booties for them. The bootie laces are also knitted, which enhances their attractiveness and charm. These booties are knitted in two needles. There is no carrying of the yarn across the back of the work. 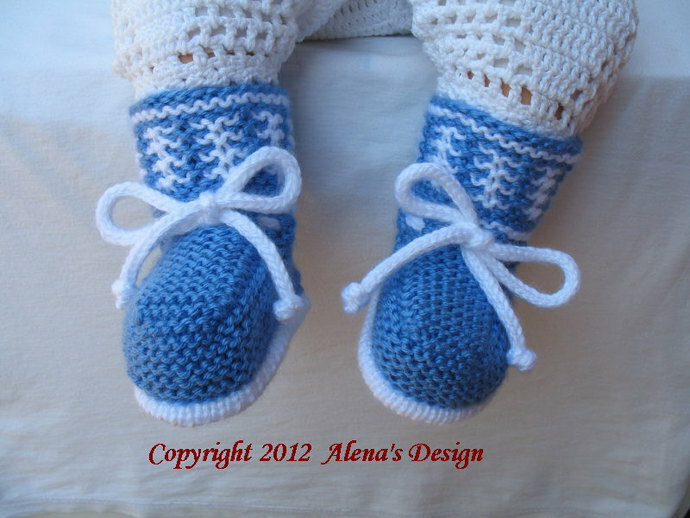 To make these cute booties, I used the slip stitch pattern. The pattern is written for a size 0-3, 3-6, 6-9 and 9-12 months, but all sizes have a lot of stretch, and easily fit much longer than normal. Double-Pointed Knitting Needles: US size 2 (2.75 mm). You have my permission to sell the finished product. All I ask is that you credit me for the pattern with a link to my shop: http://www.AlenasDesign.com when listing or selling the items made from patterns.